The one stop shop for professional Clowns, Magicians, Faires, Princesses, Pirates, Face Painters, Balloonists and more...Available for childrens birthday parties. Also available for family fun days, staff picnics, shopping malls and corporate events. Available locally and can travel. 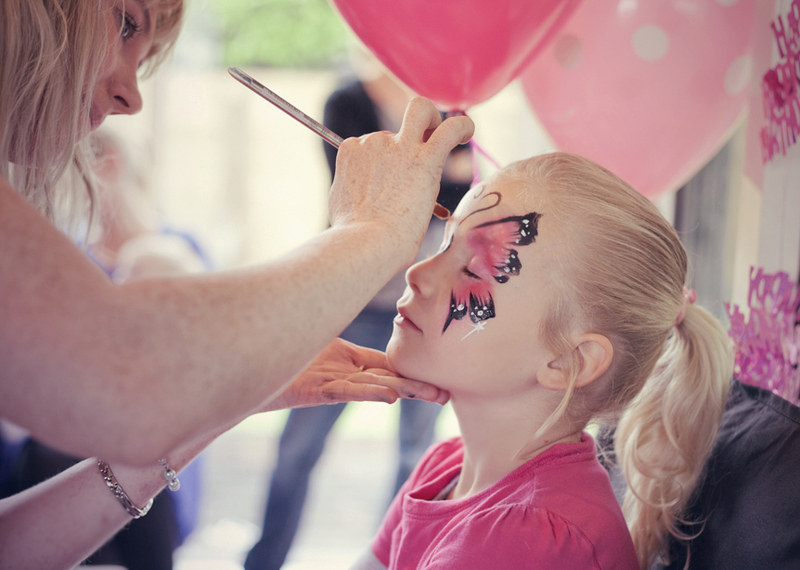 Brighten up your next event with a clown, fairy, pirate, face painter, magician, balloon twister or bouncy castle! Our entertainers are reliable and well known for their ability to entertain both the kids and adults. 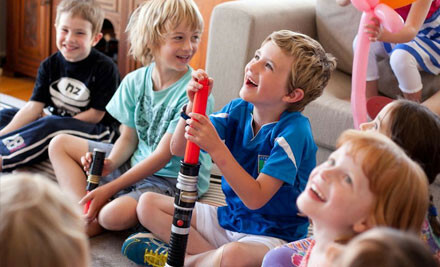 If you're looking for entertainment for an event, whether it be big or small... here is your one-stop shop for the best family entertainment service in Auckland! We understand that birthday parties and corporate functions are a once in a year event. That’s why it is important to us that we never miss a show, turn up on time and do a good job. We take great pride in all our entertainers. Each entertainer is a true natural at performing and excellent at working with kids. The entertainers are at a party for 45 minutes to an hour. In this time they do a 25 minute comedy magic show and then make balloon animals for all the kids. The kids and adults will thoroughly enjoy the show. The entertainment is perfect for any sized crowd. They have no set up time and don't need much space to perform. They perform all over Auckland and are experienced in performing to kids of all ages and cultures! Popcorn is our most popular entertainer. He has the most amazing rapport with kids and they absolutely love him! He is quick off the cuff and has a wide range of funny voices and expressions. Get in quick his shows book out very fast. He is a professional and well presented clown who takes pride in his work. His show encourages child participation, and is sure to get the kids laughing as soon as he arrives! Popcorn loves to hand out balloon animals to all the kids, including the birthday child! Popcorn is in high demand for birthday parties and corporate events in Auckland. He is a talented magician and a true natural at working with kids. He has a remarkable ability to work with any audience no matter the size or age range. 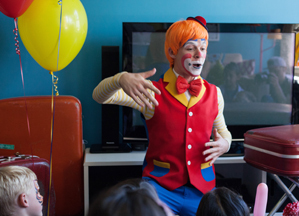 Book Popcorn the Clown for your next event and we guarantee you won't be disappointed. Auckland magician Magic Maze a highly entertaining performer, armed with his comedy magic show and balloon animals. He is like a clown without the costume. Good for kids who are too old for a clown or for kids who are scared of clowns or if you want a performer to fit in with your theme! Not only is Magic Maze a great magician, he is also a very clever performer. He adapts his show to his audience. He slows it right down for the young ones, and speeds it up and packs it with witty jokes for the older ones. He is a young professional filled with charm and charisma; the kids and adults absolutely love his tricks and relate to his humour. If you are young or old Magic Maze is the magician for you! Magic Maize is a well rounded entertainer with the perfect tricks for the right age group. Fairy Flakes isn't an ordinary fairy that hands out glitter and tells boring stories. She is known across Auckland and Hamilton as one of the best! Armed with her fun, interactive comedy magic show and balloon twisting skills. Fairy Flakes gets all the kids to say the magic words "fairies are cool", the kids just love helping her make the magic happen. Fairy Flakes slows her magic show right down for the younger ones and keeps it fast paced for the older ones. Her show is jam packed with amazing tricks that will fool the kids and adults. Perfect for all ages! When you're planning a birthday party, school event or strolling performance, Fairy Flakes is the fairy for you! To book one of these fabulous entertainers just drop us a line and let us know the date, time and location of your party so we can check availabilty for you.